Chadong Ferry Dock is one of my favorite plein air paintings. 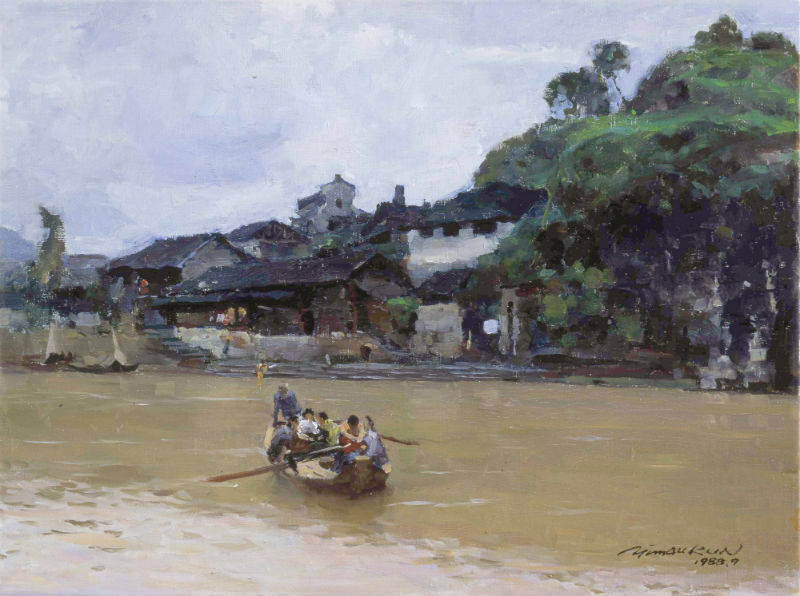 It’s near and dear to my heart perhaps because it’s not only a painting about my hometown, Western Hunan Province where my ancestors are from, but it’s also a painting about Border Town, a well-known novel about Western Hunan Province in the 1920s by novelist Shen Cong-Wen. This medium size landscape painting was done entirely on-site and captured the people, the place and its spirit through my own eyes. In the video below, I shared with my students the story behind the painting and its collector, how to create plein air paintings, how to observe, and how to render details to make a plein air painting come to life. I loved seeing this painting and watching the video of the class = lucky students.